Flatforme is a 2D, single-screen based platformer in development for the TI-84+CSE. Platform your way to the Goal Coin and collect it! Fend off enemies who will happily stop your progress. (After I made this screenshot, I added the level editor! 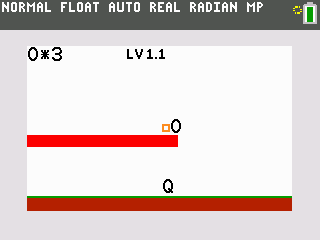 In the main menu, select the option "Add" to get to the level editor menu. I'm still tweaking the levels. Please report any bugs you find! That looks really nice already! It's great to see new stuff being made for the CSE (even if I don't actually own one ). It looks pretty fast too, which is great considering it's on the CSE. Thanks! Speed is my main priorities, over size. But as I reduce the amount of code run, to make it faster, it also reduces the size. Wow I really love the way the "O" contracts to an "o" before it jumps. Its a really great effect! Cool to see you have started up another project. Wow I really love the way the "O" contracts to an "o" before it jumps. This feature is pretty sweet! Great work so far, it's looking really nice! EDIT: Oh wait, when it turns into a theta, what does that mean? It it a sword of some type? That means that you're in the "run" mode. You can still do everything you could in "walk" mode, but you're faster. It doesn't work in the air. That's reasonable. The thing you want to do is subtract one chkTmr value from another. Can you show us a sample of your code? The X variables don't need any math. They are equal. I've been working on a lot of stuff, like the ability to place platforms wherever you want, not just on the left side. I also added color scheming and started on making levels. What does the home screen look like? 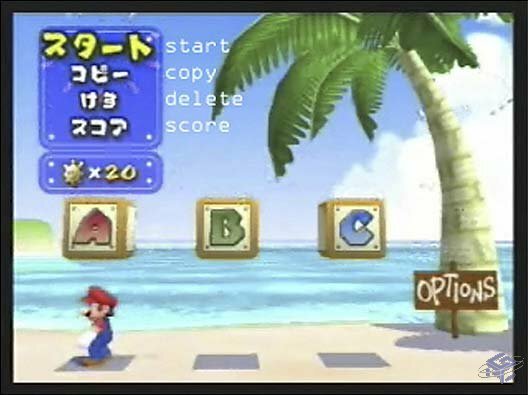 What would be cool is if the select levels screen was like a level. Like you jump around to get to 1 2 3 and so on. I haven't made the menus yet, but that sounds really cool! Would it be similar to this? If so, I should do that! Also where does the "e" come from in flatforme? The name comes from flat (aka 2D), platformer, and forme, the old English spelling of form. 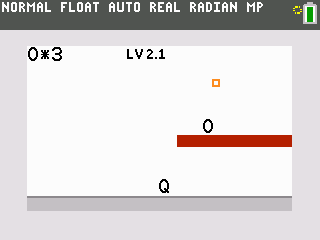 It is a flat forme of a platformer. That and it sounds cool. Its hard to get the hang of at first. The jumping is pretty hard. Changing the momentum of the jump is a little difficult, especially when jumping from platform to finish. Thanks for the feedback! In the readme it tells you that the momentum can be changed when you are the small "o". If you press left or right immediately after you see it, it will work 100% of the time. Very nice, I do like how the maps are able to change and enemies re spawn. Keep up the good work! © Copyright 2000-2019 Cemetech & Christopher Mitchell :: Page Execution Time: 0.121502 seconds.